My name is Piet Broeders. 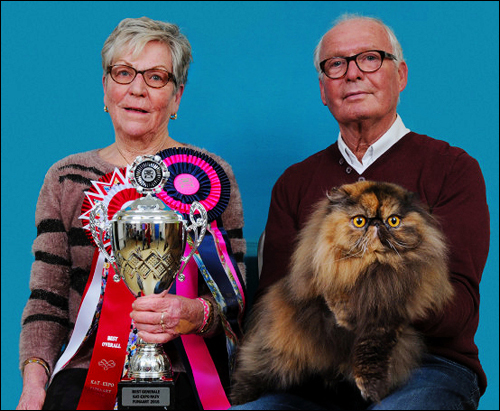 My wife, Gerry, and I have been breeding and showing Persians under the Woolly Home cattery name since 1986. We live in the town of Kampen in the Netherlands. Our cats are our 'pride and joy' . . . along with our children and our grandchildren, of course. Actually, most of our family is also involved one way or another in the 'catworld'. 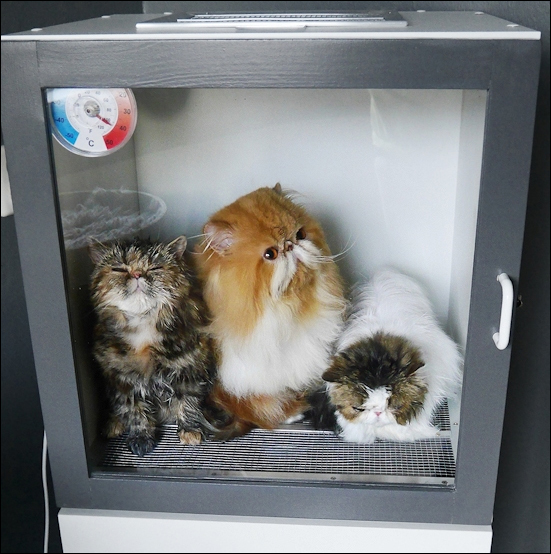 Our daughter Karin Broeders' cattery is called Jerba Nicol and she also breeds and shows Persians and Exotics. For us (and our cats) showing is all about having fun, making new friends and sharing the beauty of our kitties. Wood-working is my other hobby — something I was doing long before cats entered my life. As I became more involved with cats it was a inevitable that I would begin building structures to enrich the life of our kitties. 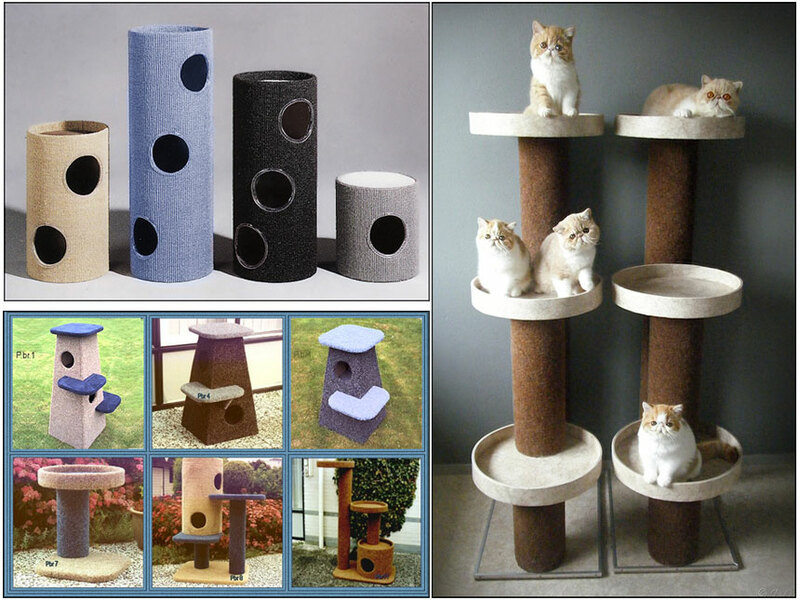 In 1995, I first started making scratching posts. I created several designs — all made ​​of solid wood and covered with Novazon carpet or sisal. The cats loved them. 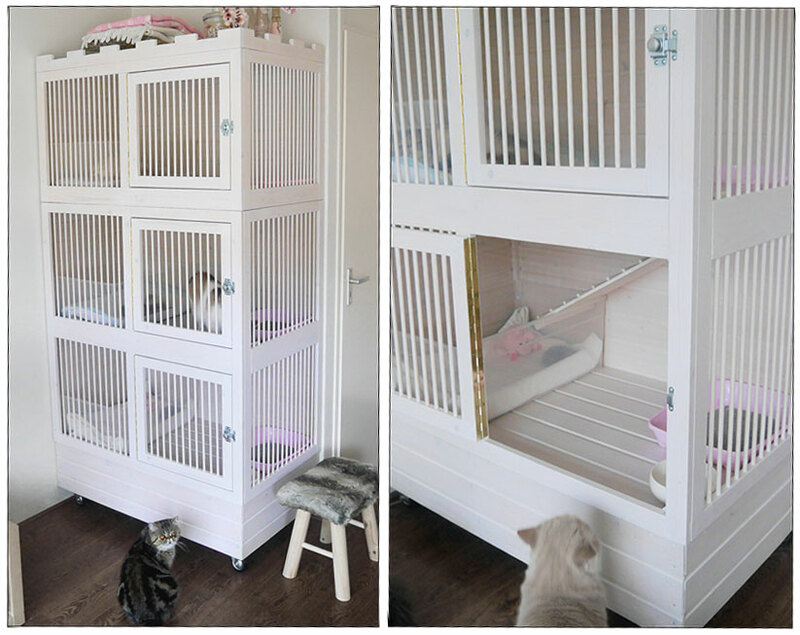 Next, I began to design and build cages for those times when a kitty needed to be confined such as when pregnant or nursing newborn kittens. I wanted the cage to be practical, but also a beautiful piece of furniture. I created a 3 level bank of cages. I added an opening between the top of one cage and the bottom of the one above it so that three cages could be turned into one large cage via walkway "ladders" that a kitty could climb up or down to gain access to the cage above or below. In 2001, I retired from my job. With extra time on my hands, I began thinking about the challenge of drying a cat. Anyone who owns a show Persian knows that blow drying a Persian in full coat can be a very time-consuming job. If an exhibitor is showing more than one Persian at a time, it may take a full day to bath and blow dry several kitties. Most times a Persian is blown dry by hand, something that takes hours to do well. Sometimes the cat is placed in a carrier to dry to save time, but then the underside of the cat tends to stay wet as the air doesn't reach it because the cat is laying down. I knew there had to be a better way. I finally came up with the idea to create a drying "cabin". I tried out several designs and materials, and after several years in development, I came up with the perfect design — an enclosed "cabin" with an open grid floor and a forced air fan with adjustable heating settings underneath it that blew the air from underneath the cat and up out the top of the cabin. When a wet cat is placed in the cabin, warm air blows up from underneath, drying those hard to reach places like the tummy and legs. It worked terrifically well! 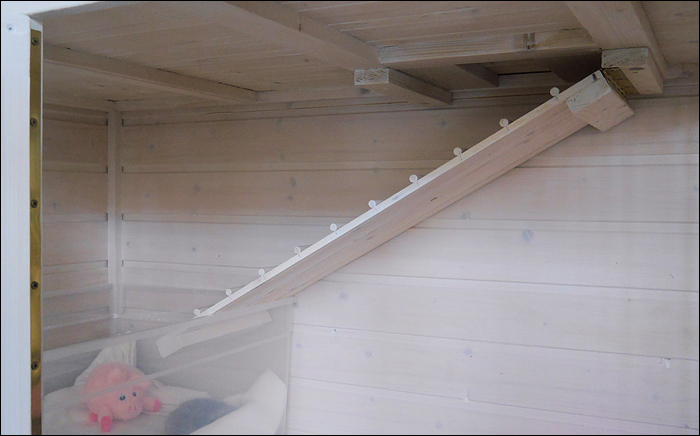 The cabin is nice and roomy so that you can dry more than one cat at a time! 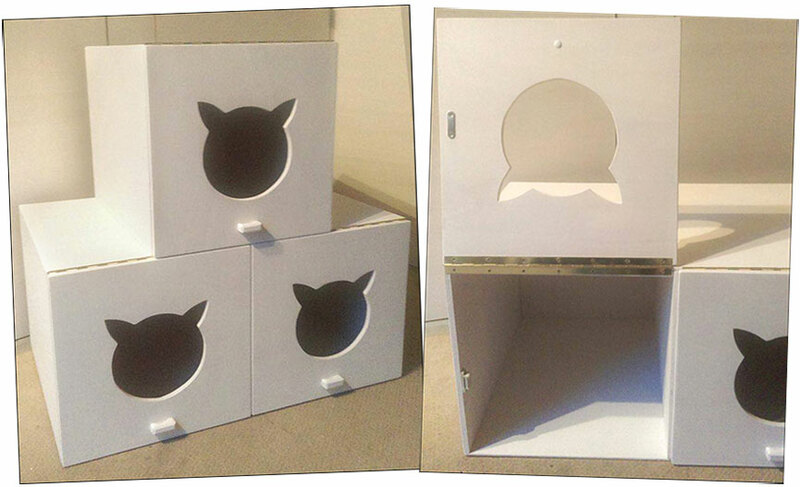 My next goal is to develop attractive litter boxes . . . It is just one more special thing I can create to enrich the lives of our beloved kitties.